When searching for a house, you are going to come across lots of different architectural styles. 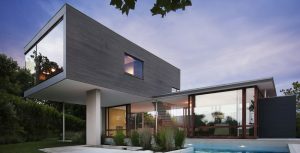 Each home is unique, but each home has certain features that can be categorized into a style. 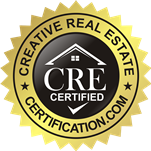 It is important to know which styles are which, that way you can tell your realtor the style home you like, and she’ll know right away what homes TO or what NOT to show you. If you go into it saying, “I don’t know, I like all different homes,” it will take longer for your realtor to find you the perfect house. These homes are named after the homes in Cap Cod, Massachusetts, where they first were built. Cape Cod homes are modest and economical; this is mostly because the Colonial settlers in the Northeast area built their homes to look like British homes. The style is identified by steep roofs that generally reach to the first level of the home (so that it can quickly rid of rain and snow). These style homes also boast second story windows that vertically project from the roof. 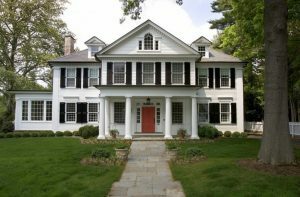 Colonial homes are noted for their incredibly symmetrical features; there is always an entryway door in the middle of the front of the house, with two windows on both sides of the front door. There are always FIVE windows on the second floor, and one is always directly above the front door. These homes became popular in the 1700s, and they are still incredibly common throughout the United States. 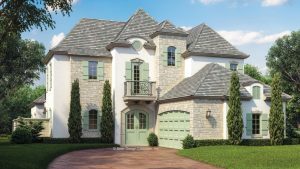 Almost always built from brick or wood, they are made to look “clean.” Sometimes, you will see a few traces of Greek and Roman style features throughout the interior and exterior of the home. Victorian homes are the quintessential epitome of dollhouses. They are noted for their asymmetrical shapes with bay windows, and wings. 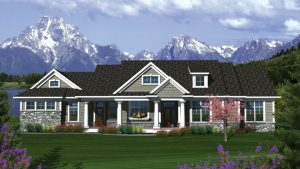 They will have elaborate trims, shingles, steep roofs, and wraparound porches. They are usually painted in very bright colors to highlight the details of the home. Victorian style homes are generally an acquired taste. 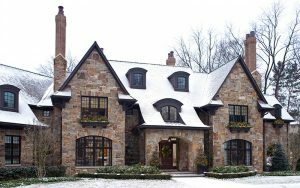 Tudor style homes are always built out of brick or stone on the main level of the home, and stucco and timbering on the second floor. All of the architecture is medieval, inspired by Tudor, England from the sixteenth century. They have covered entryways, which is why they are common in the northeast (shields from rain and snow). Ranch style homes are most of the time one story, and have a U or L shaped floor plan. They always have a patio, sliding glass doors, carports, and/or garages. 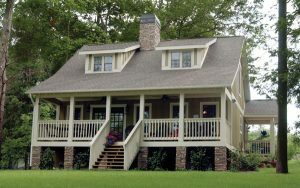 Ranch style homes are the symbol of American homes. Bungalows can be identified by their low pitched roofs and huge front porches. Another word for Bungalow style homes are Craftsmans. This is because this style home became popular in the early 1900s during the crafts and arts period. They were made from wood (hand-cut! ), iron and copper, and masonry. 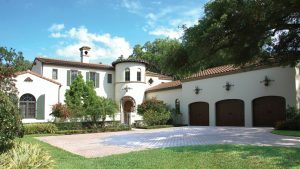 Spanish style homes are oftentimes found in the South or Southwest. Think West Hollywood, or Hollywood. They always have a clay tile roof in order to keep the house cool during the summer. These roofs extend past the walls in order to provide more shade. They have columns, arched windows, and openings in order to take advantages of the breezes that are common in those areas. Mid-century modern homes require a certain kind of taste. They are usually just called modern, rather than mid-century modern. They have sharp angles, and are usually free of any personality. They have an abundance of glass walls and windows. They also have very flat or shallow roofs. They started popping up in the 1950s. This style home is inspired by manors throughout northern and southern France, back when Louis XIV was King in the mid 1600s. The homes often have a square shape (always symmetrical) with windows or balconies. The windows are balanced on both sides of the entrance, and are usually made of brick, stone and stucco. I definitely would suggest to learn a bit about architecture before searching for a home. It really does make it easier on your realtor, and you, if you’re able to tell he or she what you want. Other than asking them to show you a bunch of houses and saying yes or no, and then the realtor finally realizing what you like months later after seeing a pattern. I agree. I think everyone should have some knowledge of architecture.